Thanks to its extended length, the updated Babolat AeroPro Drive Plus GT 2013 moves through contact with even more speed than the standard length version. Our playtesters found the Babolat AeroPro Drive Plus GT 2013 easy to put the added length and swingweight to work, thanks to a slightly lighter and faster feel compared to its predecessor. With the Babolat AeroPro Drive Plus GT 2013's added length and easy maneuverability, there is definitely some extra power and spin to be had from this racquet. 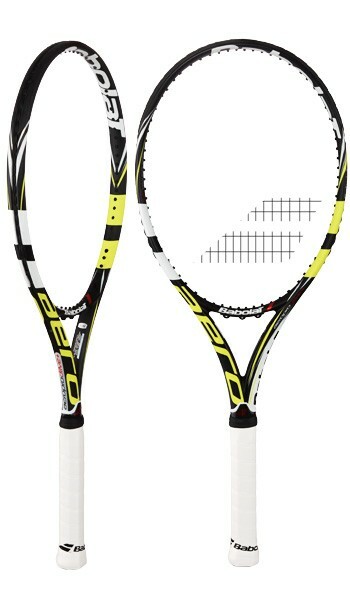 The stiff beam and open string pattern of the Babolat AeroPro Drive Plus GT 2013 further enhance both power and spin. New to this update is Babolat's Active Cortex technology, which is designed to provide a slightly smoother ride to the Babolat AeroPro Drive Plus GT 2013. Our playtesters were impressed with how much the Babolat AeroPro Drive Plus GT 2013 allowed them to impose their will from the baseline, especially when their weight was behind the ball. At net the racquet is stable and surprisingly fast, with easy access to power. The extra length, stiff beam and open pattern of the racquet add some nice kick and pace to serves. Like its predecessor, this one is perfect for big hitters looking for a real weapon. Best suited to 4.0+ players. The Babolat AeroPro Drive Plus GT 2013 is now available in India.